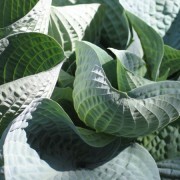 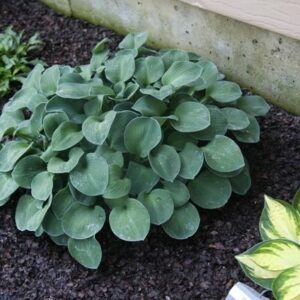 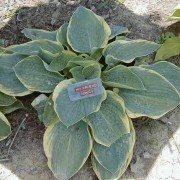 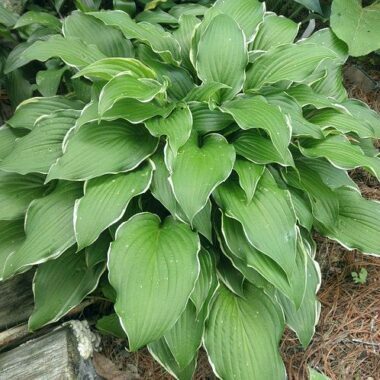 Big Dipper Hosta – Large gold with a rippled margin, cupped, wavy, corrugated and great substance. 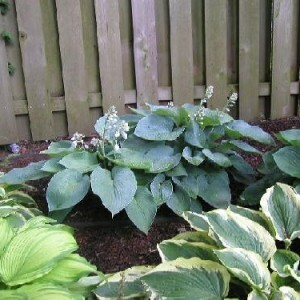 Pale lavender flowers in July. 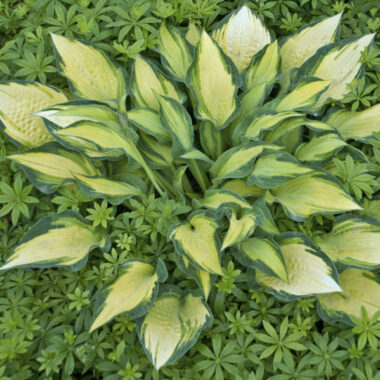 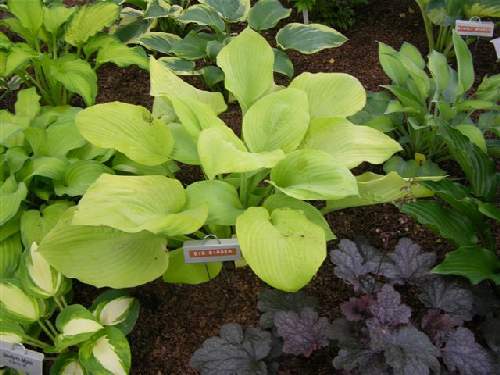 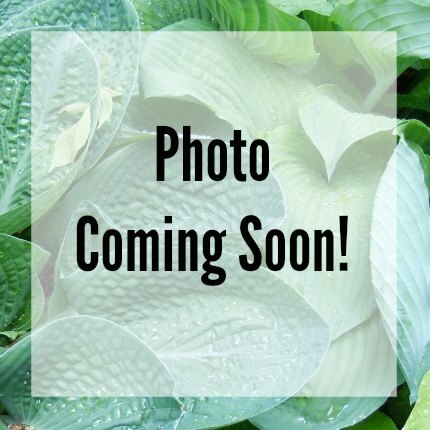 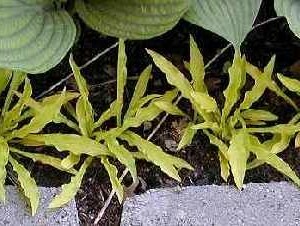 Large: 25″ high x 46″ wide mound of foliage that is chartreuse early, becoming bright gold; leaves 11″ long by 7″ wide (17 vp); leaves also ovate to oblong-ovate-shaped, wavy and slightly corrugated.